Why would I need self storage in Philadelphia, PA? There are a variety of reasons why you might need self-storage in Philadelphia, PA.
How much is a storage unit in Philadelphia, PA? The cheapest storage unit in Philadelphia, PA is $32.00 per month. What size storage units do you have available in Philadelphia, PA? In Philadelphia, PA we have sizes that range from 5'x5' to 10'x30' to suit your storage needs. How much is it for a 5'x5' storage unit in Philadelphia, PA? The cheapest 5'x5' storage unit in Philadelphia, PA is $64.00 per month. Philadelphia is one of America's oldest cities and a popular relocation destination thanks to its cultural diversity, community pride and education initiatives. The active and diverse economy provides plenty of jobs, and a variety of businesses are attracted to the area for its large and well-educated workforce. Philadelphia also offers outstanding recreational opportunities in parks throughout the city. 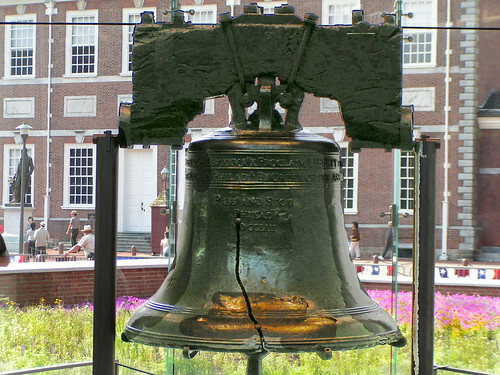 The rich history of Philadelphia can be seen in every corner of the city, with iconic American landmarks including the Liberty Bell and Independence Hall. A variety of modern-day landmarks also provide shopping, dining, entertainment and cultural experiences. William Penn, an English Quaker, founded Philadelphia in 1682 and established the city as the capital of the Pennsylvania Colony. The city was witness to the birth of America, serving as a central meeting place for the Founding Fathers. It was in Philadelphia that both the Declaration of Independence and the Constitution were signed, and the city was the nation's capital until Washington, D.C., was established. During the 19th century, the Industrial Revolution brought economic prosperity and significant growth to the city, especially when it became a major hub for the flourishing network of American railroads. Philadelphia was a popular landing point for a variety of European immigrants and African-Americans after the Civil War. The 20th century was an era of change for the city, with large shifts in population, government and the economy. Today, it's a bustling metropolis that still maintains a powerful connection to its past. Philadelphia is Pennsylvania's economic center. Its diversified economy is dominated by the financial sector, with other major players including healthcare, biotechnology, manufacturing and tourism. Comcast, Cigna, Aramark, Pep Boys and Urban Outfitters are among the well-known corporations headquartered in Philadelphia. The federal and city governments employ a large percentage of the workforce, with the University of Pennsylvania and the Children's Hospital of Philadelphia close behind. Although the unemployment rate in Philadelphia is slightly higher than the national average, the job market has been steadily climbing. If you're planning to join the job market in the city, you'll find a large number of jobs in education, health care, hospitality and professional services. As its name suggests, Old City is one of Philadelphia's most historic neighborhoods. The cobblestone streets are lined with modern-day local shops and cafes, and it's the site of Independence Mall, one of the central meeting spots of America's Founding Fathers. Originally built as one of Philadelphia's "streetcar suburbs" in the mid-19th century, Cedar Park is now a diverse, eclectic corner of the city. A significant focus on establishing small, local businesses has made Cedar Park the location of a vibrant and eclectic collection of retail shops and restaurants. Market East is a busy section of Philadelphia that lies squarely between historic Old City and the modern business district. At the neighborhood's historic Reading Terminal Market, you can browse a massive variety of products ranging from gourmet cheese to Amish baked goods. The University City neighborhood has a vibrant, youthful spirit, thanks to its two major post-secondary institutions, the University of Pennsylvania and Drexel University. You'll find expansive green spaces and picnic spots at University City's Penn Park. The School District of Philadelphia manages the public elementary, middle and high schools in Philadelphia. The district also offers early childhood programs and academy programs. You'll also find a large number of private and charter schools in the city, including faith-based and vocational programs. Philadelphia is a hub for higher education, so if you're planning to pursue your college degree, you have plenty of options. The University of Pennsylvania, Temple University and Drexel University are among the largest. Small, specialized schools in Philadelphia offer specific study tracks focusing on art, science and music. Utilities: The main electricity provider in Philadelphia is PECO Energy Company, and the city of Philadelphia manages water and sewer services. Garbage and Recycling: The city provides weekly collection of trash and recyclables, and there are several locations where you can drop off large items or hazardous waste. Transportation: There are several public transit options to choose from, including bus, subway and trolley. If you're planning to use a personal vehicle for getting around, some neighborhoods offer residential parking permits that can save you money on meters. Personal Vehicles: You'll need to title and register your vehicle within 20 days of moving to the city. Pets: Philadelphia requires all dogs aged 4 months and older to be licensed within 30 days. The overall cost of living in Philadelphia is higher than the national average, with the price of housing being significantly higher than in other U.S. cities. However, it's less expensive than many other metropolitan areas on the East Coast, like New York City. You'll find a variety of urban housing options to explore, ranging from historic apartments in 18th-century buildings to trendy, modern lofts. There are also a variety of single-family homes in the suburban areas of the city. Our lowest priced units in Philadelphia, PA average $56.32 per month. 1805 people have reserved units in Philadelphia, PA in the past 30 days. There are 31 locations within Philadelphia, PA's city limits. There are 11 locations in Philadelphia, PA that offer AC and Heating features.